Prince William Musters Out: He's Leaving The Military : The Two-Way The Duke of Cambridge, a new father and second in line to the throne, is leaving after seven years in the RAF. "Flight Lt. Wales" has been a search-and-rescue helicopter pilot. He'll now focus on his royal duties and charity work. After more than seven years in the Royal Air Force that included three years of service as a helicopter pilot on search-and-rescue missions, the Duke of Cambridge is leaving the military life behind. According to the BBC, "he will now focus on royal duties and charity work together with the Duchess of Cambridge, a palace spokesman said." His "final search and rescue duty was Tuesday. 'He and his crew had an uneventful 24 hour shift,' the defense ministry said." "Last year, he helped save a teenage girl who was in danger of drowning off the coast of Wales. The 16-year-old girl was caught in a rip current and rapidly losing strength. William, the grandson of Queen Elizabeth II, had just landed a Sea King helicopter nearby, after going out on a routine exercise, when the alert was radioed through." Flight Lt. Wales (a.k.a. Prince William or the Duke of Cambridge). "The duke began his military career more than seven years ago when he followed his younger brother, Prince Harry, into Sandhurst [the Royal Military Academy]. "After St Andrews University he began 44 weeks of training at the royal military academy in Camberley, Surrey, where the course is designed to push new recruits to the brink of exhaustion and shape cadets into army officers. "By signing up, the then 23-year-old prince was continuing a historic family tradition of military service and he became the most senior royal in recent memory to attend the college." 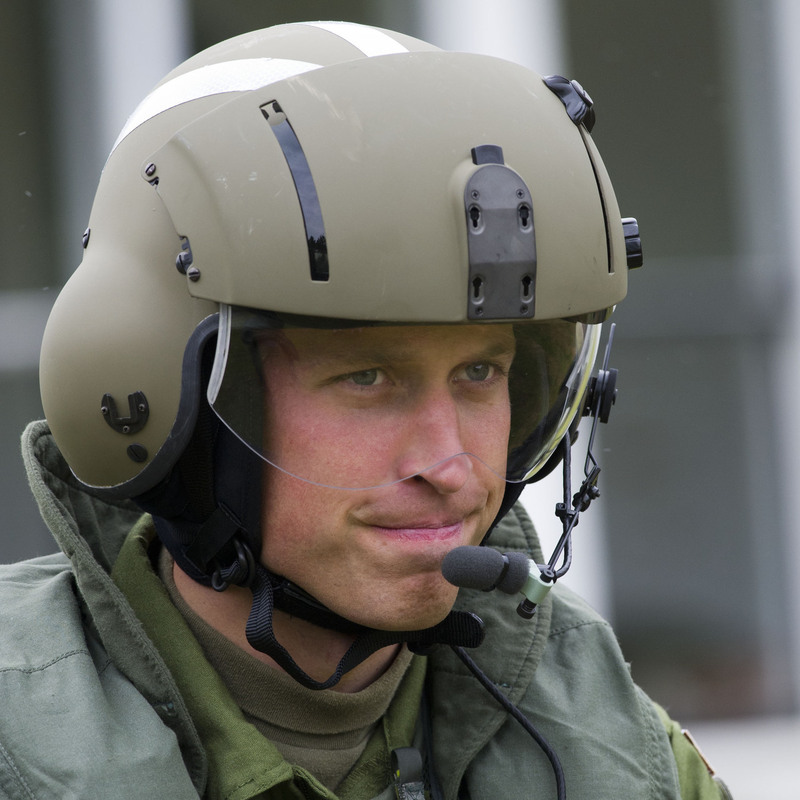 Harry, who turns 29 on Sunday, is a lieutenant and Army Air Corps helicopter pilot. He has served two tours of duty in Afghanistan. William became a father on July 22. He did not deploy to either Iraq or Afghanistan during his time in the RAF.